This year marks the 200th anniversary of the arrival of the American Ceylon Mission (ACM) to the Jaffna peninsula. January is Tamil Heritage Month. To mark this occasion, TamilCulture Magazine will publish a series of articles on Tamil history and heritage. Today’s article will reflect on the legacy of American Christian missionaries in colonial Jaffna. This year marks the 200th anniversary of the arrival of the American Ceylon Mission (ACM) to the Jaffna peninsula. The ACM was founded by Reverend Samuel Newell. Born in Durham, Maine as the youngest of nine children, Rev. Newell graduated from Harvard University in 1807 and Andover Theological Seminary in 1810. Soon after, he decided to devote his life to the ministry. Embarking on an overseas mission to preach Christianity, Rev. Newell arrived in the British colony of Ceylon (now Sri Lanka) in 1813. While the early Protestant missionaries came to preach the Gospel, they also sought to benefit the people they proselytized. The missionary families took particular interest in educating the locals of Jaffna in both English and the native Tamil language. They believed that founding schools throughout the peninsula would bring about literacy, social reforms, alleviate poverty, and result in an overall improvement in the lives of the people. The first American missionary school, Union College, was founded in Tellipalai in 1816. In 1823, the American missionaries founded Batticota Seminary at Vaddukoddai with Rev. Dr. Daniel Poor as its first principal. Its aim was to educate the top students from all other seminaries across Jaffna. Batticota Seminary undertook research and published pioneering books in the Tamil language in literature, logic, algebra, astronomy and general science. Its standard of education was judged as equal in rank with many European universities. While the school was shut down in 1855, it later reopened as Jaffna College in 1867 with Rev. E.P. Hastings as its first principal. Missionaries also took part in providing educational opportunities for girls, a radical notion at the time. American Methodist Harriet Winslow founded Uduvil Girls’ School in 1824, the first all-girls boarding school in Asia. Starting with 29 girls between age 5 and 11, the number rose to 50 students in 1833 and 100 by 1857. The girls were supported with donations of $20 a year by benefactors from Massachusetts, Connecticut, Maine and Maryland whose names they later adopted. By 1848, a remarkable 105 Tamil schools and 16 English schools had cropped up in the Jaffna peninsula. The American Ceylon Mission also started the first printing press in the north in 1820. In 1841, the island’s second oldest newspaper, the Morning Star, was founded. In 1862, Rev. Miron Winslow published the first Tamil-English Dictionary. With Jaffna emerging as an eminent centre of learning, the British colonial government recruited numerous Tamil graduates into the civil service of its colonies in Malaysia and Singapore in the late 19th and early 20th centuries. Many worked as administrators in the Malay Railways, some in positions of authority in the civil service and rubber plantations. Many of the first doctors, engineers and teachers in colonial Malaya and Singapore were of Jaffna Tamil descent, among them Dr. S.S. Thiruchelvam, the world’s first Asian surgeon. By the dawn of the 20th century, Ceylon Tamils were well established in Malaya, attaining positions of eminence in medicine, education, civil administration and the law.Given their overwhelming access to English education, Tamils in Jaffna enjoyed advantages in employment opportunities disproportionate to their share of the island. By 1956 – eight years after independence – Ceylon Tamils comprised 30% of the Ceylon Administration Service, 50% of the clerical service, and 60% of engineers and doctors – despite making up just 11% of the total population. Subsequently, legislation was passed to redress the imbalance. By 1970, the share of Tamils had plummeted to just 5%, 5%, and 10% respectively, thereby sewing the seeds of ethnic conflict. In terms of numbers, the Ceylonese, like the Eurasians, are among the smallest of our various communities. Yet in terms of achievements and contributions to the growth and development of the modern Singapore and Malaysia they have done more than warranted by their numbers. In the early days of Malaysia’s and Singapore’s history the civil service and the professions were manned by a good number of Ceylonese. Even today the Ceylonese community continues to play a prominent role in these and other fields of civil life.For example in Singapore, today, the Speaker of Parliament is a Ceylonese. So is our High Commissioner in Great Britain. So is our Foreign Minister. In the Judiciary, in the civil service, in the university, in the medical Service and in the professions they continue to make substantial contributions out of all proportion to their numbers. They are there not because they are members of a minority community but on the basis of merit. 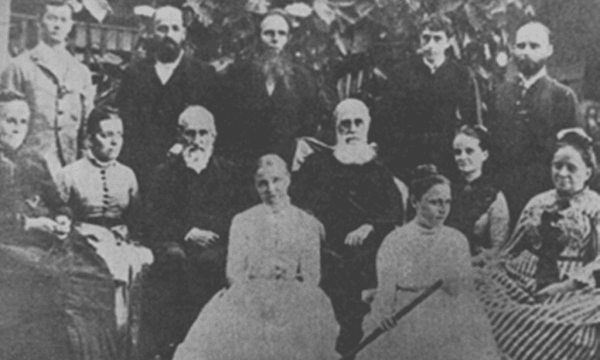 While many notable educational and health institutions in Jaffna owe their origins to American missionaries, their presence also drew controversy due to their condemning of local religious rituals. Nonetheless, the vision of the pioneer American missionaries– to impart higher learning in English based on the principles of Christianity – has produced sons and daughters of the arid soil who have achieved and served admirably both locally and abroad for 200 years. Posted January 10th, 2019 .